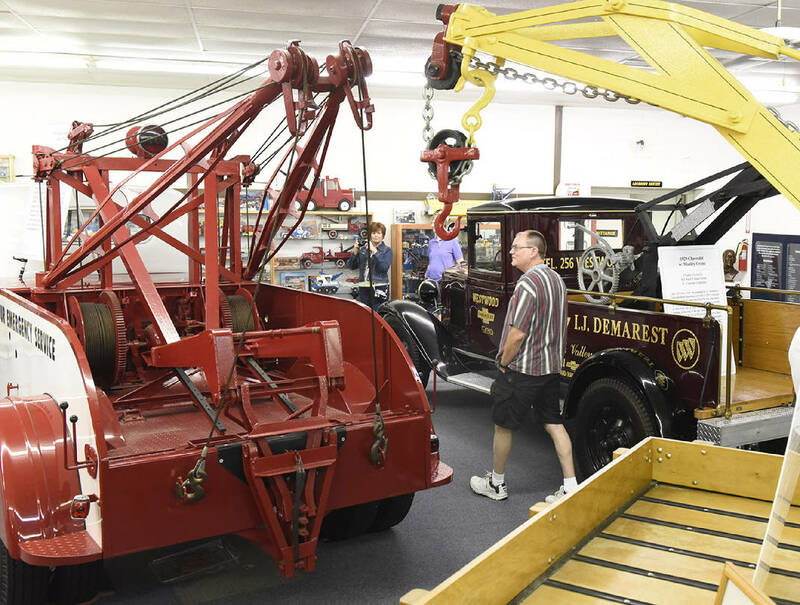 The International Towing & Recovery Hall of Fame and Museum will show off its collection of tow trucks, an industry that originated in Chattanooga, during the Museum Hop. Amy Autenreith was excited about Chattanooga's first Museum Hop in 2017. This year, she's ecstatic. She says she doesn't know of any other event in the country that entices local tourist to galleries like the Museum Hop. The Bessie Smith Cultural Center includes an array of artifacts and documents that tell the area's African-American history, as well as a collection of sculptures on the front lawn that commemorates the rich cultural history of the "Big 9," as M.L. King Boulevard was once known. This sculpture, "A Future and a Hope," is by Charlie Brouwer of Willis, Virginia. The two-day event, scheduled Thursday and Friday, allows people to visit more than a half dozen museums for an all-inclusive price of $20. This year, the number of museums included in the tour increased from six to nine. "What we're trying to do is boost local visitorship," says Autenreith, director of the Houston Museum of Decorative Arts. "I get people from all around the world (visiting the museum). But I have more people who come to my door and say, 'You know, I have lived here for 40 to 50 years, and I've always said I'm going to come here and I haven't.'" The Houston Museum houses an extensive collection of Victorian art glass and other antiques. But not all of the stops have such an artsy aesthetic. There are also trains and cars and tow trucks to see and military, Civil War and African-American history to be explored. Autenreith hopes the all-inclusive price may encourage more local residents to visit. The $20 event fee is a savings of more than $60 over regular admission prices. Here's how it works, she says. You'll need to register at www.tvrail.com or by phone at 423-894-8028. Then you can pick up your passport at any of the participating museums. You'll travel at your own pace from museum to museum over the two days. You can select any start and end points, but at each stop, be sure to have your passport stamped. 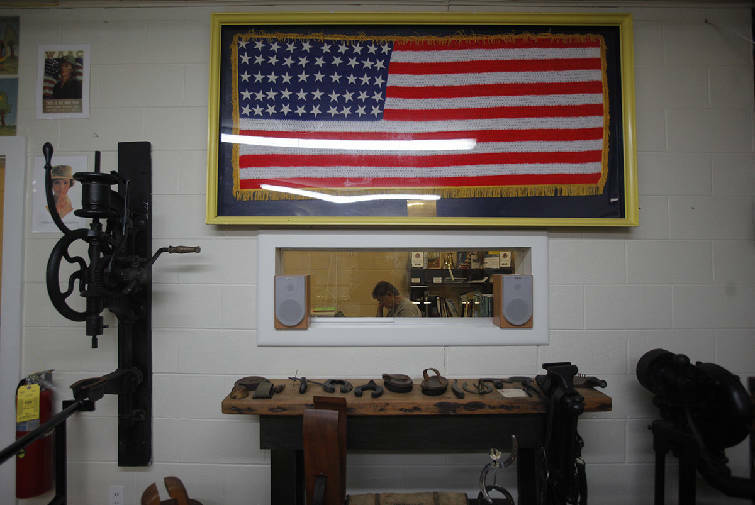 The 6th Cavalry Museum in Fort Oglethorpe, Georgia, tells the story of the 6th Cavalry from 1861 to the present. Participants who get their passports stamped at all nine sites earn a commemorative T-shirt. She hopes the enticement helps pique visitors' curiosity, perhaps encouraging them to step into places they have never been. "You look at the International Towing Museum," says Autenreith. "You probably never even thought about it. But then you go, and it's an amazing place. " Bessie Smith Cultural Center President Paula Wilkes says she appreciates the Museum Hop because it gets more visitors into the building. "It brings in guests that we wouldn't normally get," she says. "You've got a lot of people who didn't even know the Bessie existed." › 6th Cavalry Museum, 6 Barnhardt Circle, Fort Oglethorpe, Georgia. Long before the city was incorporated (1949), there was the Army Post at Fort Oglethorpe (1902-1947), where the 6th Cavalry was permanently stationed from 1919 to 1942. The post’s parade ground is surrounded by officers’ quarters and many original buildings. The museum tells the history of the 6th Cavalry (1861 to the present) through authentic weapons, uniforms, photographs, documents, a fully restored 1944 Willys Jeep and an M-47 Patton tank. http://6thcavalrymuseum.org. › Coker Tire Museum *, 1317 Chestnut St. Founded in 1958, Coker Tire grew into the world’s largest manufacturer/supplier of tires and wheels for collectors. The museum showcases a private collection of cars, trucks and motorcycles spanning more than 120 years of automotive history. http://cokertire/com/tours. › Houston Museum of Decorative Arts, 201 High St. One of the finest collections of Victorian art glass, ceramics and pottery in the world, housed in a Victorian residence in the Bluff View Art District. The collection is an enduring tribute to the extraordinary woman, Anna Safley Houston, who spent half a century putting it together. www.thehoustonmuseum.org.